Although composting is an age-old practice, Algeria has thus far implemented no composting initiatives at the municipal level to deal with organic waste. 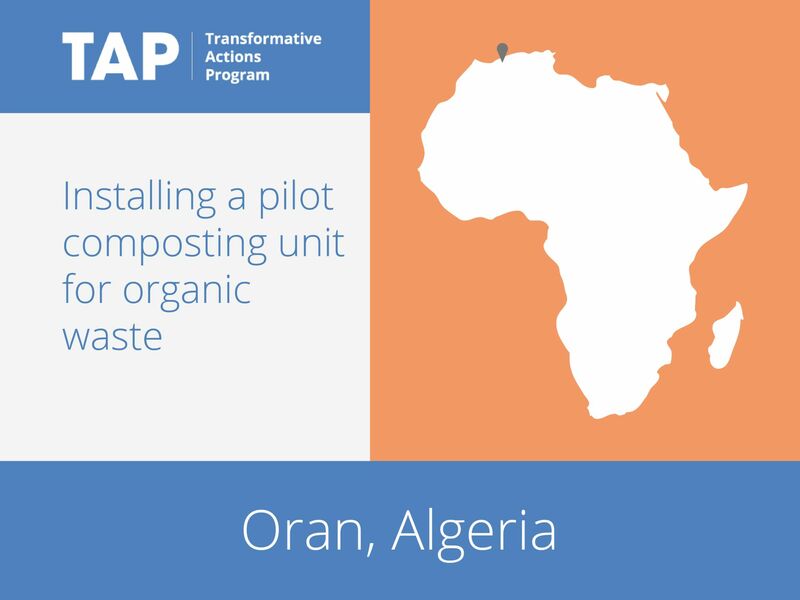 Oran has taken the lead with the installation of a pilot composting unit for organic waste in September 2015 at the Hassif Bounif landfill. This is part of a wider initiative for more sustainable management and the valorization of waste. Currently the project deals only with organic waste from the neighborhood wholesaler (4–12 tons of waste per day) and with green waste from the municipal landscaping company, but the initiative will be extended to household organic waste in the future.